Can a court direct the state to compensate or fund the restoration of places of worship damaged due to its alleged failure to maintain law and order? After a year-long hearing, the Supreme Court reserved its verdict on the issue. The Gujarat government has raised this pertinent question. The issue came into focus after the destruction of such structures during the 2002 Gujarat riots. The bench of Justices Dipak Misra and Prafullah C Pant was hearing a petition filed by the Gujarat Government challenging the 2012 order of the High Court directing it to pay compensation to over 500 shrines damaged during the post-Godhra riots. The bench asked the parties to file written submissions in the matter but clarified that it should not be on communal lines. It took on record the written submissions filed by Gujarat government and asked the counsel for NGO, Islamic Relief Committee of Gujarat (IRCG), to file their written submission by May 1. “Can we command the state to construct the places of worship or religious structures damaged because the state failed to maintain the law and order situation”, the bench had asked earlier. While Gujarat Government sought quashing of the High Court order contending that it was neither manageable, enforceable nor capable of execution as per law, the NGO, Islamic Relief Committee of Gujarat (IRCG), said the state government is liable to compensate those who suffered damages. The High Court had issued an interim direction for computation of actual damages to the places of worship to be made by ‘special officers’ who were District Judges. 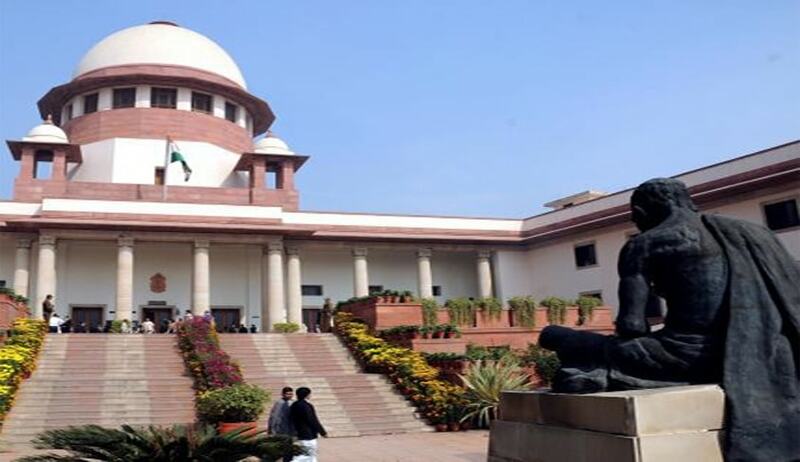 The apex court on August 27, 2013 had directed the maintenance of status quo on the February 8, 2012 order of the High Court and decided to examine the legal issues arising out of the matter. The bench had said it has to be examined how far it would be constitutional to command the state to give money from its funds which come from tax payers for restoration, relocation and renovation of religious structures damaged due to its failure to maintain law and order situation.